All photographs featured on this page are presented in smaller size. You may enlarge any of them and see it in full size by simply clicking on it. 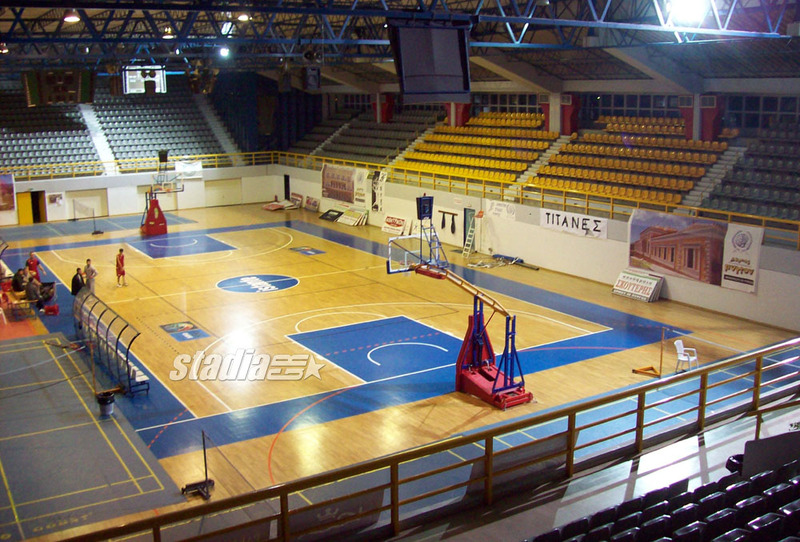 Location: The hall is located in the city of Pyrgos, in the region of Peloponnese, 300 km west of Athens. Pyrgos is only a few km away from ancient Olympia, where the Olympic Games were born in 776 B.C. If you drive to Pyrgos, the indoor hall will be one the first things you'll see coming into the city, as it lies by the Patras-Pyrgos motorway. 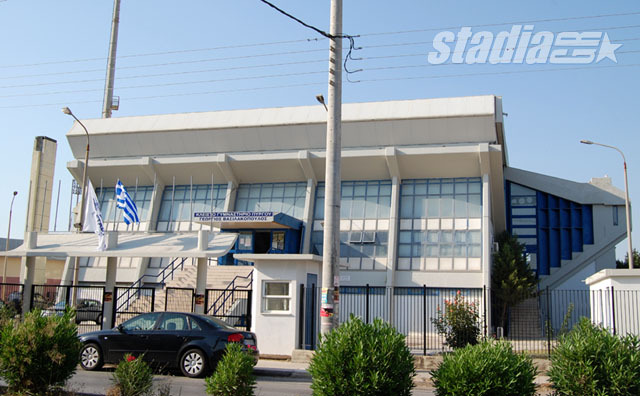 You will see it on your left, next to the Pyrgos Stadium (just look for the stadium's floodlights as you enter Pyrgos). More data: Pyrgos Indoor hall is a modern small arena, with stands on all four sides of the court. 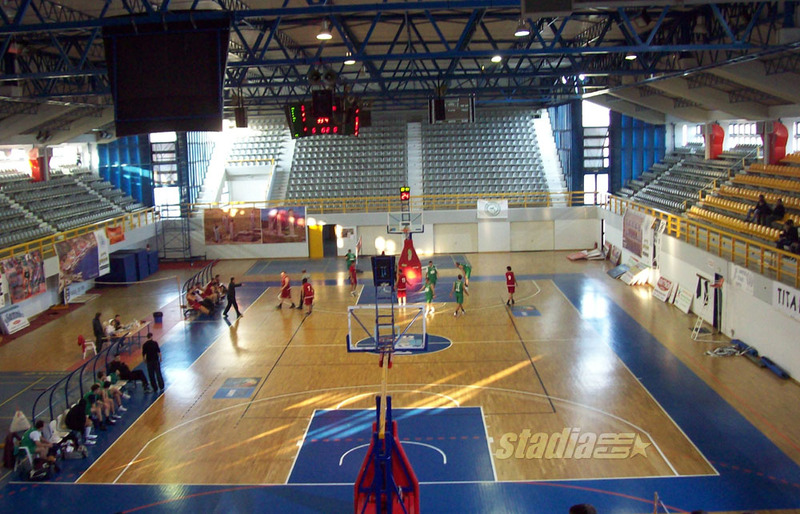 Its capacity can be increased to over 3,000, through the addition of an additional movable stand next to the court, below the existing west stand. - The 2011 Greek Basketball All-Star Game. Pyrgos Indoor Hall is owned by the Municipality of Pyrgos.